High energy: Alumnus Kris Zadlo is responsible for creating thousands of megawatts of clean energy and also directs Invenergy's award-winning energy storage efforts. "We are just starting to scratch the surface of what advanced energy storage can provide for the grid and we are tremendously excited for what the future holds," he says. Just as batteries allow us to use our cell phones, drive our cars, and shine our flashlights, we also need them if human beings ever hope to dramatically reduce our dependence on carbon-burning sources of electricity. That's because clean energy sources, such as wind and solar power, are great when it's windy and sunny, but some sort of energy storage is needed to further increase the use of renewables. Electrical engineering alumnus Kris Zadlo is on the frontlines of this global challenge. 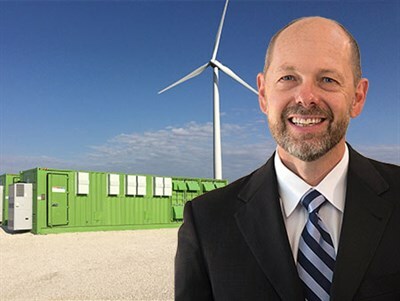 With more than 25 years of experience in the power industry, he currently leads the energy storage efforts at Invenergy, a company specializing in large-scale power storage and clean energy production across North America and Europe. "We believe energy storage has the potential to be a transformative force in the evolution of the electric grid," says Zadlo, Invenergy's senior vice president responsible for market analytics, regulatory affairs, storage development, and transmission. "We are just starting to scratch the surface of what advanced energy storage can provide for the grid and we are tremendously excited for what the future holds." As Zadlo explains, large-scale energy storage also is critical for improving the efficiency of traditional power generating stations, such as coal- or gas-powered plants. Industrial-scale batteries - currently about the size of a house trailer -- provide a series of new and unique services, revolutionizing the traditional power grid, transforming it into a flexible, bidirectional network. Last year, Invenergy received two prestigious industry awards for its Grand Ridge Battery Storage Facility, located not far from the company's headquarters in northern Illinois. Energy Storage North America, a trade group, crowned the facility with its 2015 Innovation Award while Power Engineering and Renewable Energy World magazines named it their Renewable Project of the Year. These awards are "huge" for Invenergy and energy storage in general, Zadlo says. They show that energy storage is gaining recognition for the critical role it must play in the effort to reduce industrial carbon emissions. As awareness of the importance of energy storage has grown, so has Invenergy. When Zadlo joined the company in 2008, it had only a few dozen employees. Today, it has more than 800. "It's been quite a phenomenal ride here," he says. 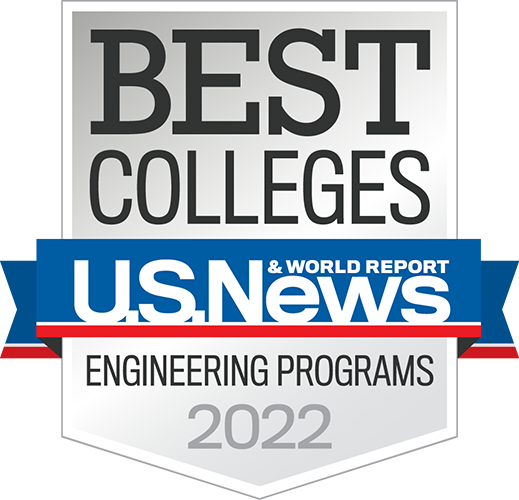 A Chicago-area native, Zadlo graduated from Rose-Hulman in 1989 and received his master's degree in electrical engineering the following year from Purdue University. Asked what drew him to Rose-Hulman, Zadlo recalls being attracted to the small classes and the Midwest location. "I didn't want a big university with 500 people in my calc. class," he says. Meanwhile, his advice to today's students is to follow their passions. "If you do what you enjoy, things have a way of working out. I think I've succeeded because I enjoy what I do."